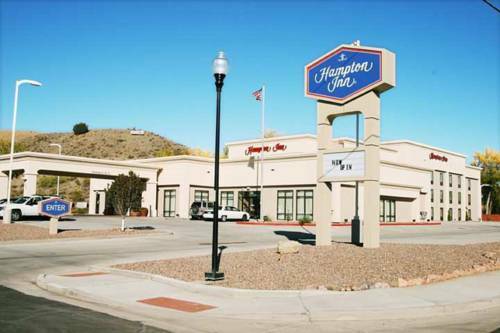 The Hampton Inn Canon City hotel is located right off Highway 50 on the east end of Canon City Colorado only two miles from city center and only five miles from the Royal Gorge Train. The Hampton Inn Canon City Colorado hotel is a brand new hotel. Every room has complimentary high-speed Internet access along with wireless access in our lobby and meeting rooms. We also have an indoor pool and hot tub fitness room a deluxe On the House hot breakfast buffet and don*t forget our popular Cloud Nine beds for our guest to enjoy. Complimentary coffee and tea are available in our breakfast area 24-hours a day. All rooms have coffee makers iron and ironing boards and complimentary parking. The Hampton Inn Canon City Colorado hotel is a smoke free hotel. We also offer some rooms with a mountain view. Most important do not forget about our 100 Satisfaction Guarantee. If you are not satisfied we don*t expect you to pay. That*s 100 Hampton. We love having you here in Colorado at the Hampton Inn Canon City hotel. ~32 miles from Canon City. ~33 miles from Canon City.